Do you ever get the feeling that you’ve bitten off more than you could chew? My De-Type kit car is at long last in my possession, and having had a good chance to look over it, there is a lot of work to be done! That said, a lot of the fundamentals appear to be in place, and whoever has owned it prior to me has put many hours, and no doubt many thousands of dollars, into it. 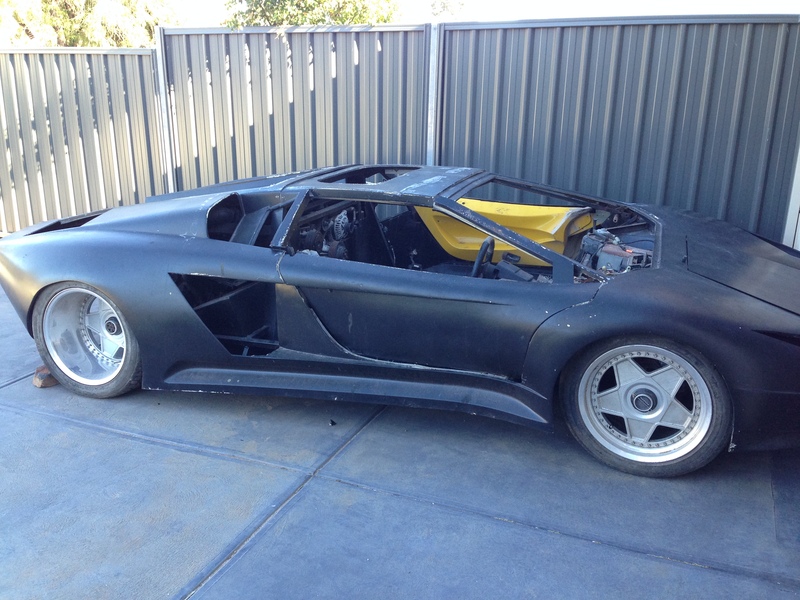 On a positive, the space frame chassis appears to be very well constructed, and only has a few patches of surface rust on it. 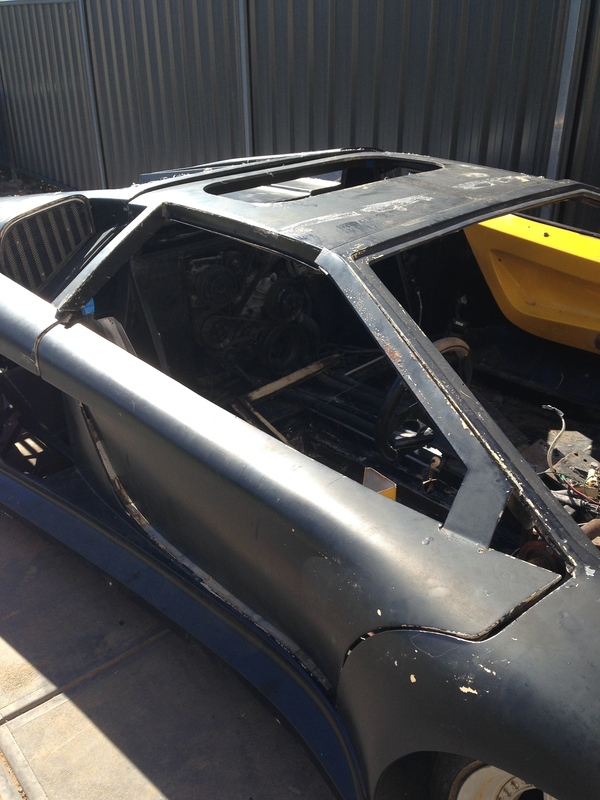 The body is also very solidly constructed, however has had the roof cut out of it, which will need to be repaired. 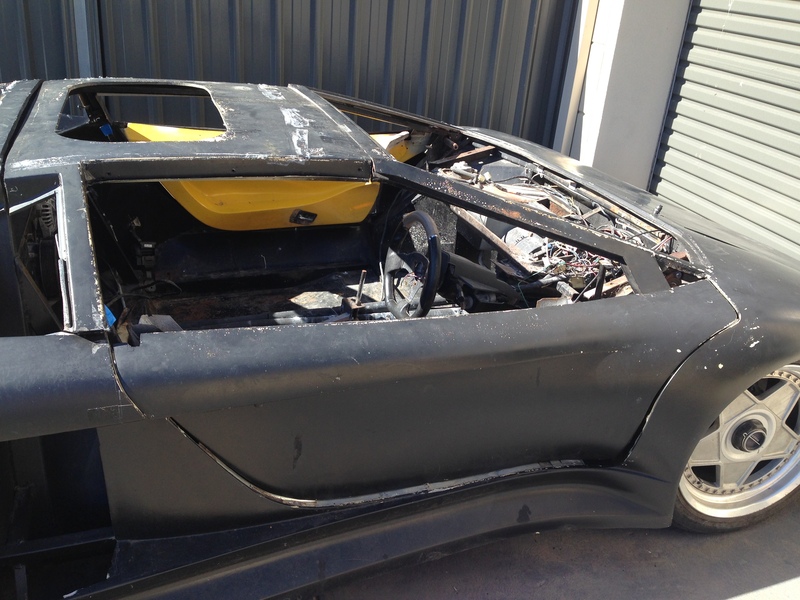 Unfortunately, in the same convertible conversion, the tops of the doors have been cut off, as has sections of the space frame. These offcuts all came with the car, so should be able to be welded back together, hopefully without complication. 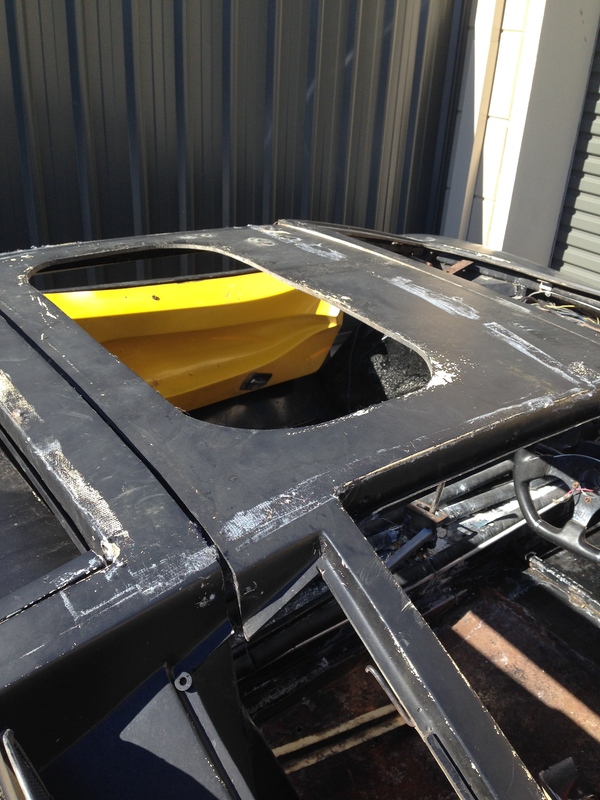 Below is a series of photos showing the roof section which has been cut, as well as the missing tops of the door frames. 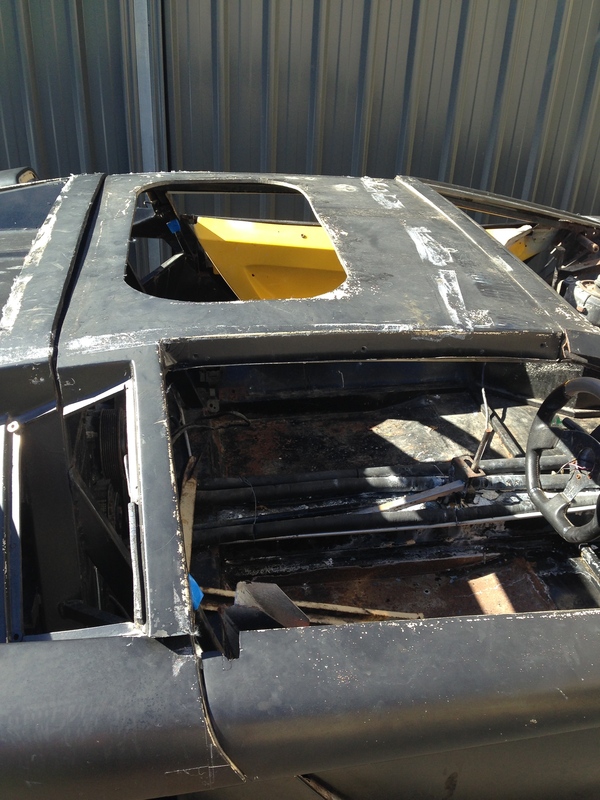 The plan will be to get the sunroof filled back in and the roof glassed back on, with the tops of the door frames welded back on. Not shown in the photos is the section of space frame from under the roof that has also been cut out, and will need re-welding. The scissor door mechanism is dodgy at best, and works on a shaft that goes through a series of housed bearings. Some of the bearings are missing, and the remaining ones are rusted and old. Also, there are no struts in the doors to open them up. 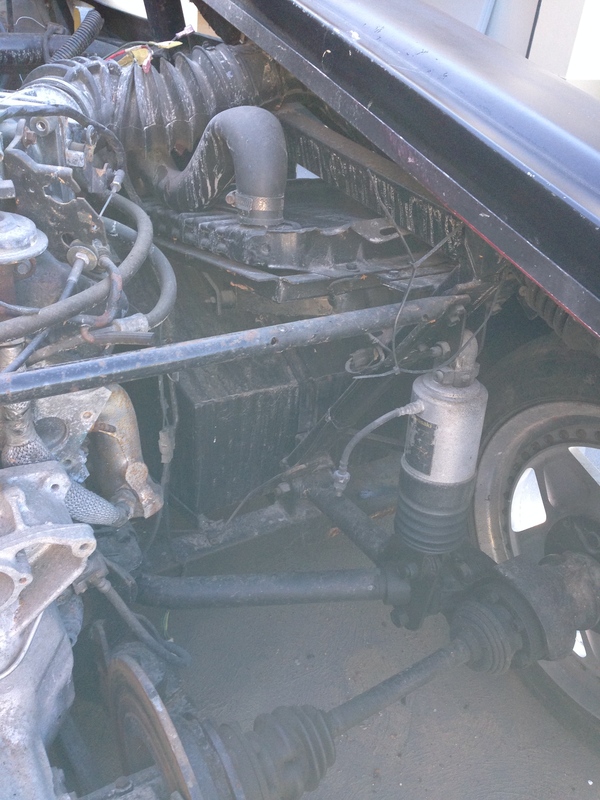 Mechanically the car has a Ford 3.8L supercharged V6 fitted, but I have no information on its history, and it is not wired up and hence not running. The gearbox I believe to be out of a Lotus Esprit, with its distinctive inboard brakes, and it is coupled to the engine by a custom adaptor plate. Once again I have no info on the box. 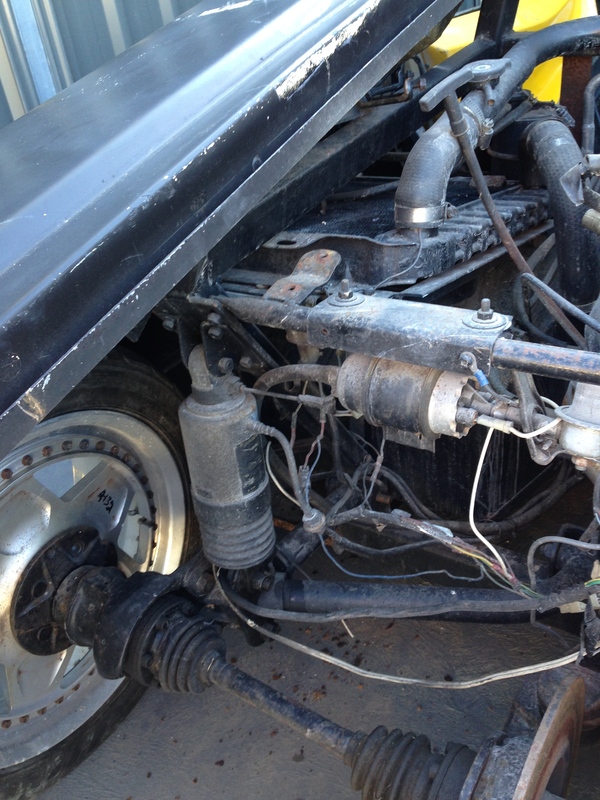 Fuel comes from dual tanks, one on each side, and twin radiators have been fitted and plumbed. 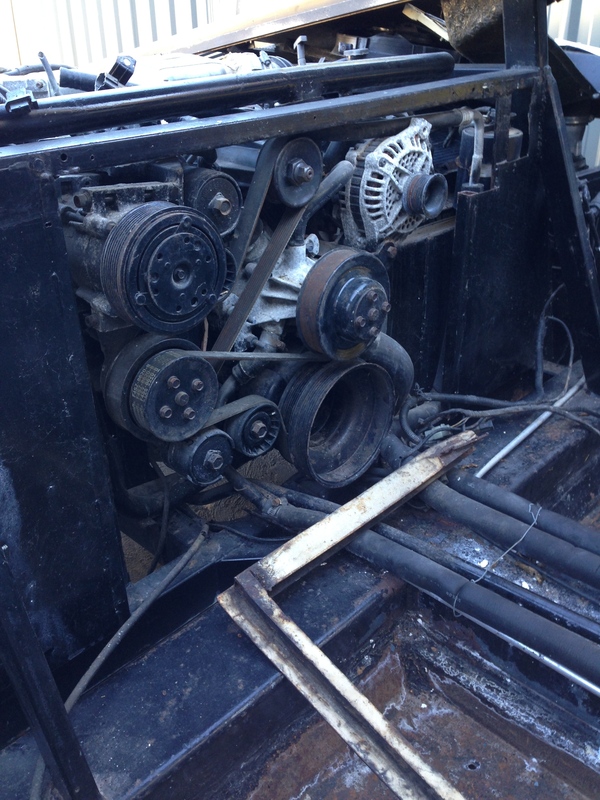 The first photo in the series below shows the front of the engine from the passenger compartment of the car. As can be seen, it has been well and truly shoehorned into the thing. Suspension appears to be gas-filled motorbike shocks, but once again I’ve got no information on the setup. 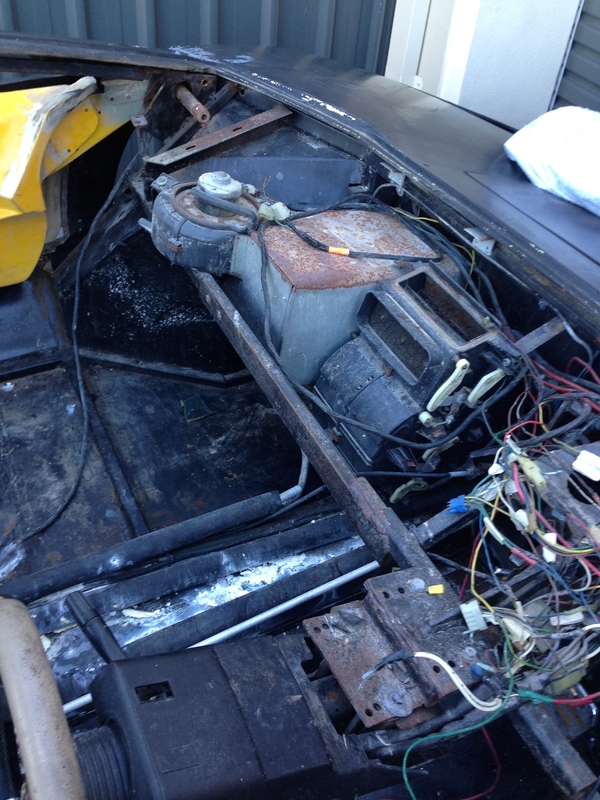 There’s a whole bunch of wiring in place under the dash, with an aircon unit fitted and plumbed in. 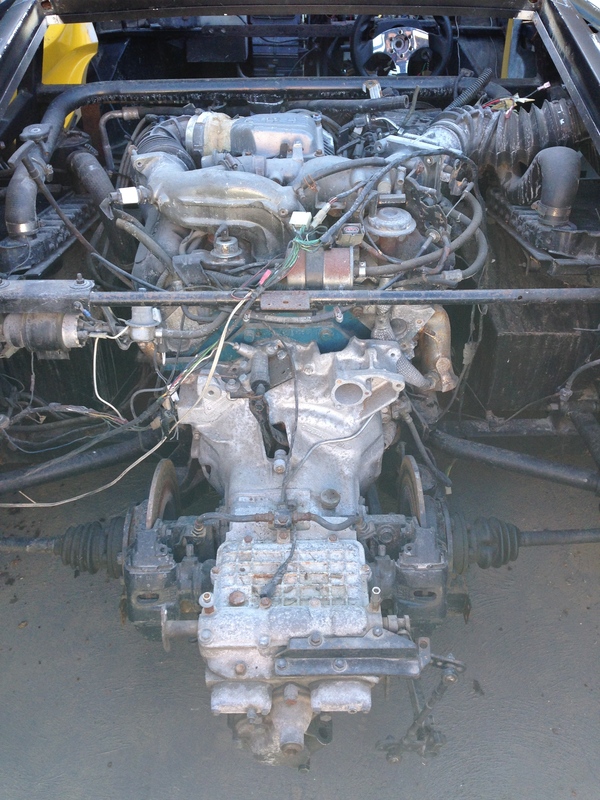 The gearbox has a linkage in place and is attached to a shifter, and the steering is functional. 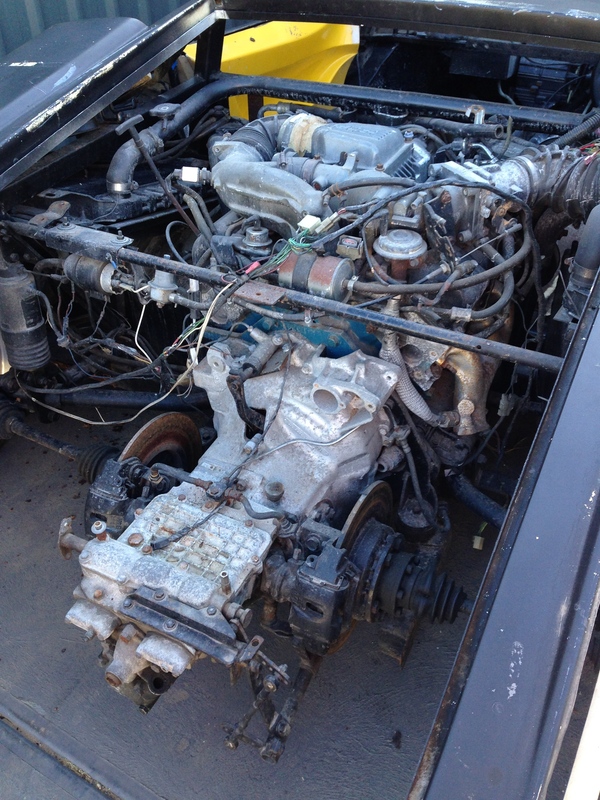 As with everything, I have no information on the state of any of the components, or their donor car. All in all, I reckon this will be a 3-5 year project. Whilst it is a little overwhelming at the moment, I figure the best place to start will be to get an engineer to eyeball the thing and give me an opinion as to whether I can get it on the road or not. 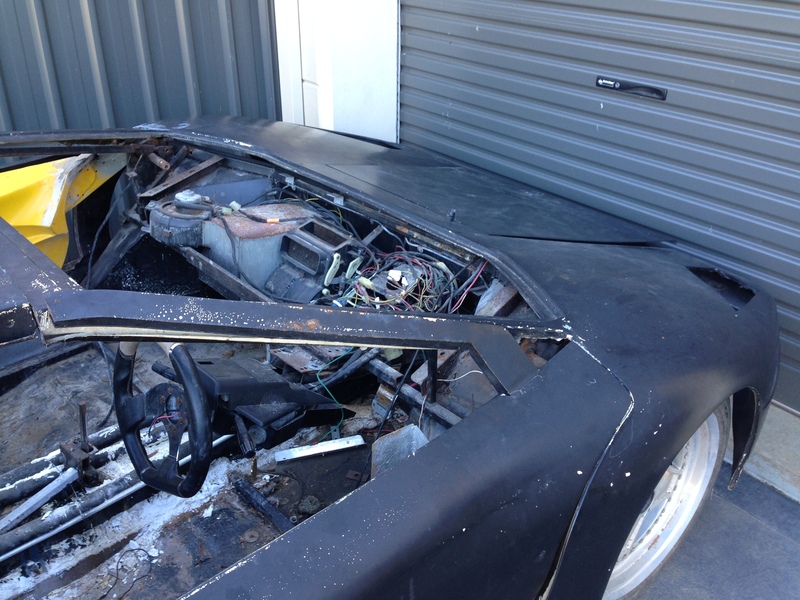 Assuming it is achievable, I’ll start with tearing the thing apart and getting the space frame and door tops welded back up, and the roof glassed back in place. From there it will be a matter of working out a sequence of attacking the long list of jobs to be done to get it up and running. Certainly not a short-term priority, but I’m happy to finally have the car! 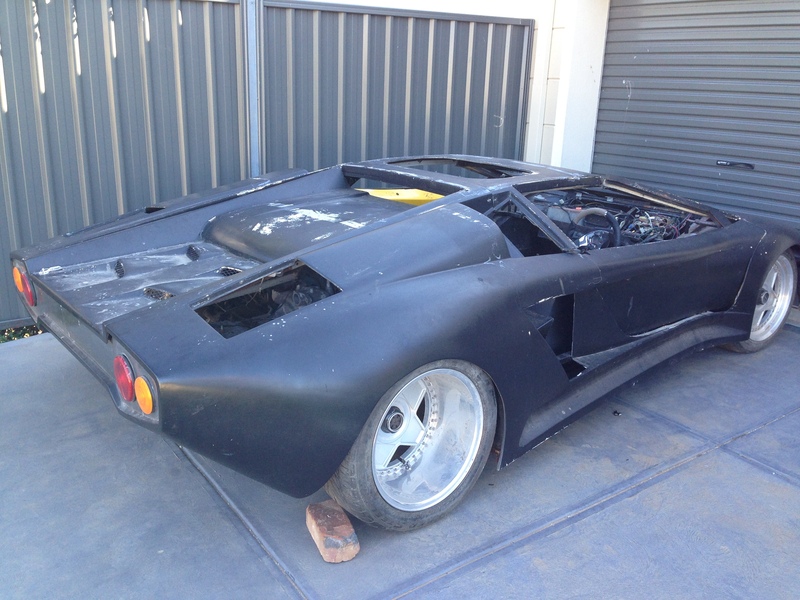 Good Luck – really looks like you have your work cut out, not to mention the waiting surprises in the engine & gearbox.